Designers are embedded 80% of week. ID’s play on strengths for each area. ID’s use a database for project management for keeping track of course development. ID’s use a course development rubric. Meet with college deans each month to discuss new/existing degree programs for online. Provide them with metrics and data (completion, training, support desk). Look for ways to assist college needs. 37% of Wilmington students take at least 1 online course. Asynchronous tools is a focus for student flexibility with on-demand video and MM content. Guest speakers, lecture capture, faculty screencasts, and webcasts. 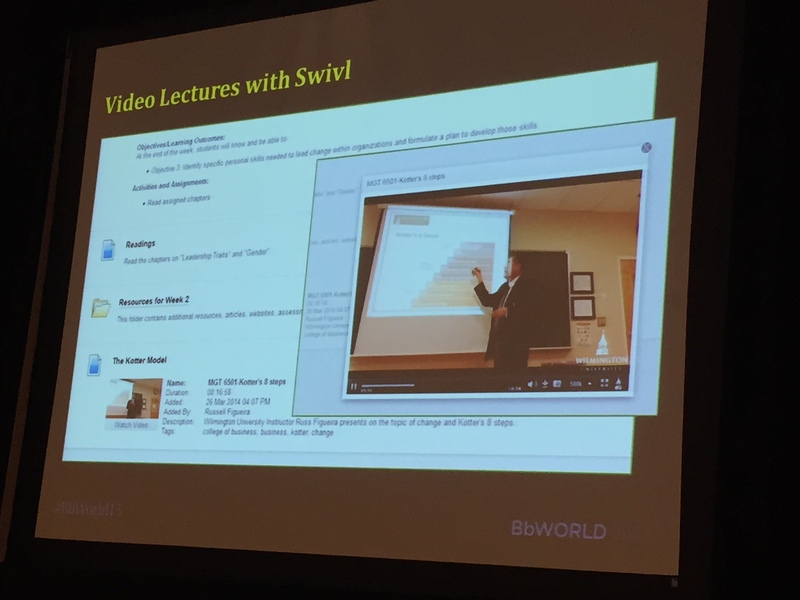 Swivl is a technology used for lecture capture. Video Announcements provide a high touch and engaging delivery. Instructors can do this easily with videoeverywhere in Blackboard via their webcam. Video Discussion Boards enabled additional level of engagement. Can be used for ice breaker activities. This increases the face to face connection but yet asynchronous. Our lecture capture devices allows us to get video lecture content into Blackboard at a much lower cost-entry point than traditional solutions. Video can also be used outside of the classroom and captured off site at guest locations or other site visits. Flipped classroom and full online courses have benefits by video integration. Video can be repurposed. Instructor created videos are authentic and students really enjoy and appreciate the effort put in. 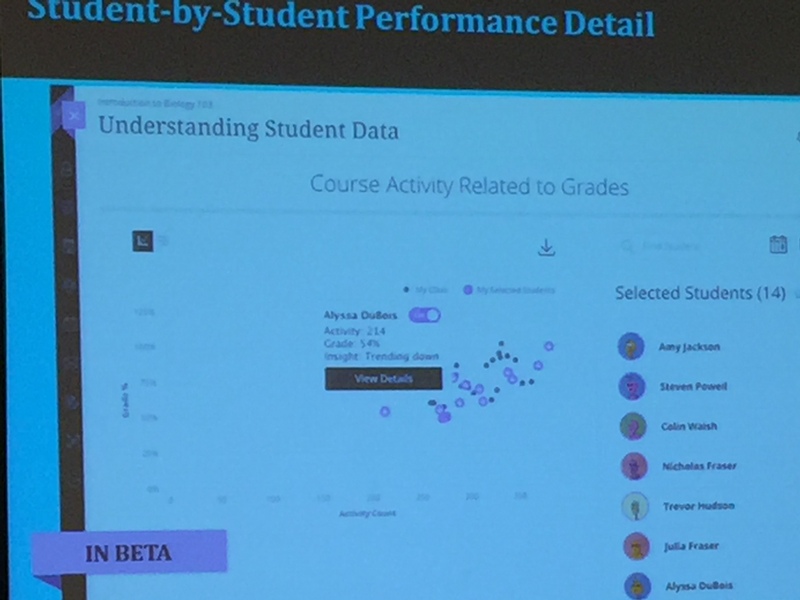 Blackboard Collaborate is also used to incorporate video connection with students. Bb Collaborate has been very popular and hugely successful. Collaborate is also used for livestreams of face to face classrooms. A student moderator helps the faculty member during the live session to keep an eye on the remote students. How do you get faculty buy-in? Training – of all kinds! F2F workshops, webinars, 1:1 training, phone and email support. Robust support documents and videos – not just workshop videos and overall training documents. Show, don’t tell – model course specific examples. Access to help is in a tab in Blackboard. Live, real-time interaction from all devices and locations will be a necessity. Collaborate Ultra allows for a more robust, richer asynchronous online experience. Swivl devices an be successfully used with Collaborate Ultra to use the robotic camera technology in the live environment, including wireless audio. 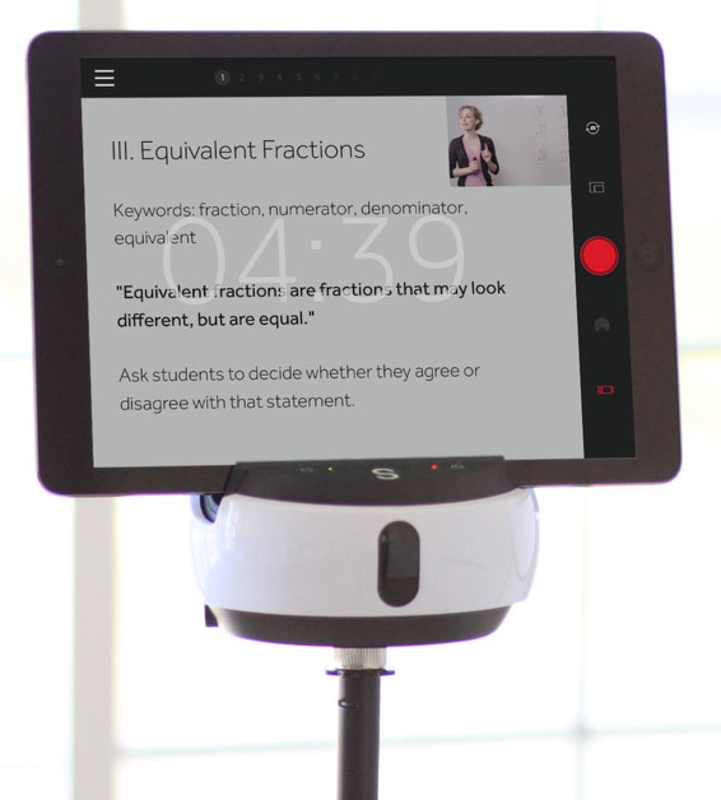 WebRTC technology in the Collaborate Ultra could allow us to create fully modular web-connected classrooms at a fraction of the traditional cost of web-enabled conference rooms. Peter is known for inspiring industries, corporations and individuals to drive breakthrough thinking and innovation within their respective spaces. Peter routinely discusses the explosion of data that is transforming how organizations operate, and explains how to tap into that big data to make critical, innovative, status quo-shaking decisions. He was also recently named one of Fortune’s Top 50 World Leaders. Technology will change and has changed every aspect of our lives. We are living during the most peaceful time in history. We wouldn’t know that living in a day with constant news about the negative. Education and Technology are the drivers of changing our world – a liberating force. by Peter H. Diamandis et al. We have an exponential growth of technology which is taking what is scare and making it abundant. We are heading toward a world where we are able to produce abundant energy. Same with water. We have the sources, but it may not be in the form yet where we can use it. We have abundant communications technologies. We have abundance in health care. Enter the handheld tricorder via Qualcomm xPrize competition. The worlds biggest problems are the biggest business opportunity. 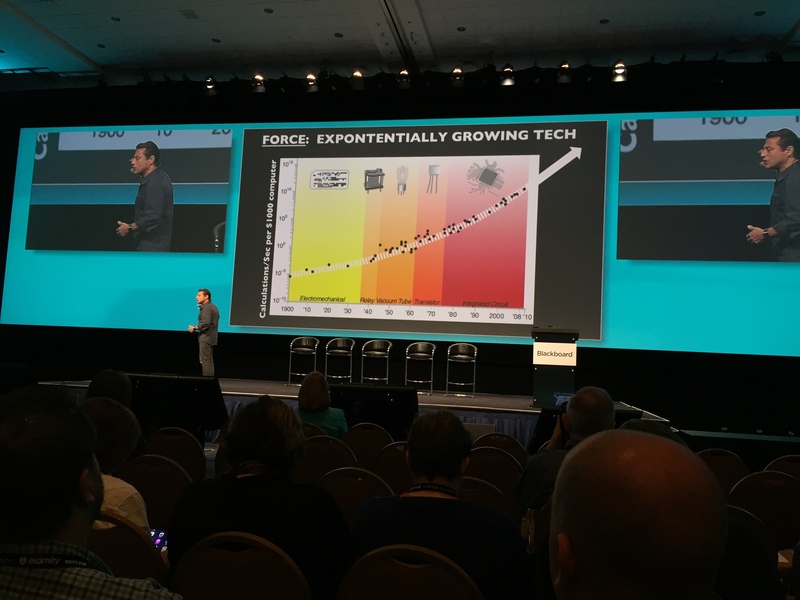 Exponential growth is what we will be facing in the next 10 years – technology is exponential vs humans are linear. 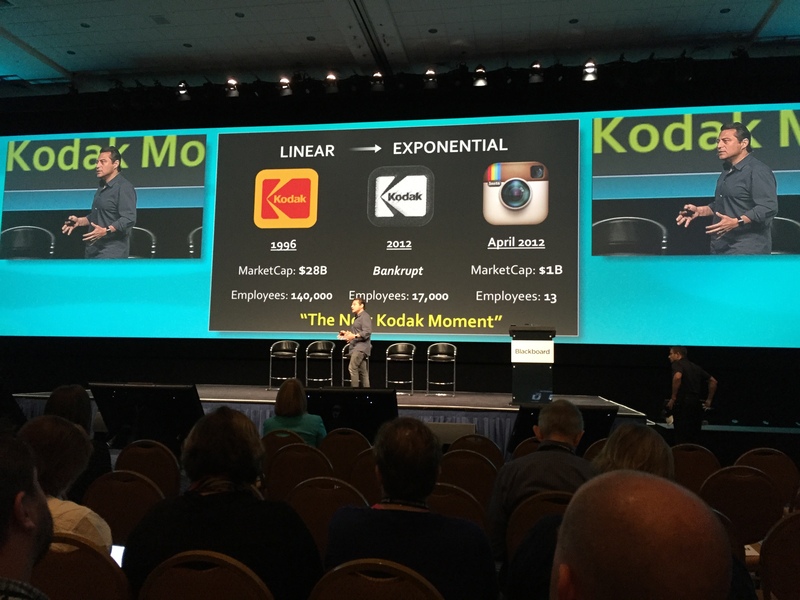 How do we or do we not embrace technology – and if we think linear we will be disrupted. In 10 years it is predicated that 40% of the Fortune 500 companies will no longer exist. Change is the norm and the rate of change is increasing. The way we education need to change with the rate of change. Our education challenge: To use the best technology we can to help meet the needs of students. 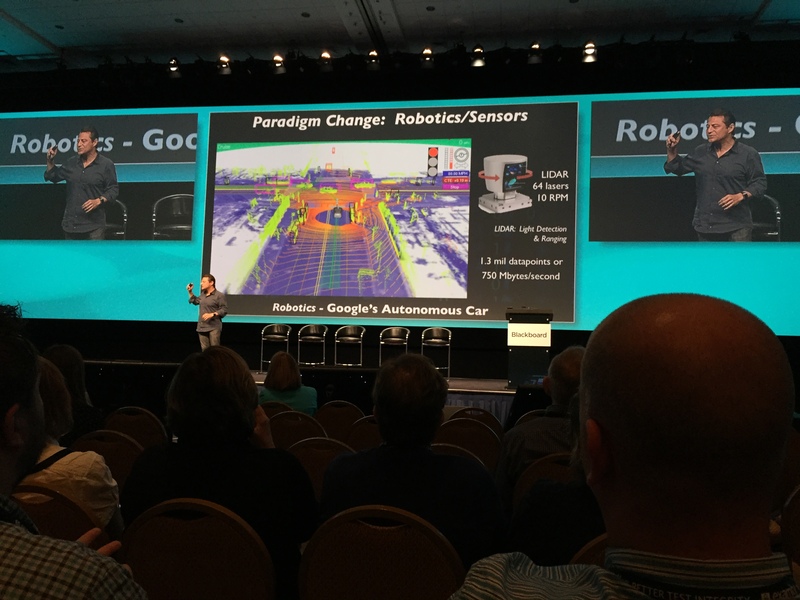 Automation and robotics will continue to transform our world through automated driving, changing our workforce with construction. 3D printing makes things that were once abstract, but now concrete. Go from an idea to manufacture in 1 day. We can print in 300 different materials today. 3D printed cars are also transforming manufacturing and building with 3D printed houses. Only constant is change and the rate of change is increasing. We will be living in a perfect knowledge, anything – anytime environment of a data collection everywhere and imaging everything everywhere. We are headed toward a world that is data-driven. Sensors everywhere. Virtual Reality – MagicLeap, Oculus Rift, Microsoft HoloLens. We need to transform how we teach at scale. Future of healthcare and longevity. Making 100 years old, the new 60. Human Longevity Inc. Continuous education is like breathing oxygen. If you thought we haven’t seen change yet, think again. The only constant is change and the rate of change is increasing. You either disrupt you own company/products, or someone else will. Stand still = death. Competition is no-longer the multinational overseas. It is the explosion of exponentially empower entrepreneurs. If your dependent on innovation solely from inside your company, you will lose > crowdsourcing. Most online programs are still centered around the traditional. Kris Clerkin from Southern New Hampshire University is pioneering new work around competency based education. Students have learning coaches. Access, low cost, and high quality = CBE. Expand access to now marketing. We have to tackle the value proposition. We need new models and strip away what is not needed and focus on the learner. We need to give employers the employees with the skills they need. We need to close the skills gap and attacking that through company partnerships. Do we iterate our instruction and change based on feedback? And including students’ voice into the design. Kent Hopkins, from ASU talks about eAdvisors systems for tracking students progress. A scheduler planner also provides students with support for students to help and come along side students and empower them to make good decisions. Partner with Starbucks for affordable education. In January of 2014 planning, June announcement, first class in 2014 was about 1200 students in 7 1/2 week sessions. Next fall 4,800 are expected out of the Starbucks employees of 150,000. Coaching students is important and spend time with students up front to manage their experiences through orientations about online learning and coming along side them with student success advisors. ME3 is a good example of student advising. Four weeks in a survey is deployed as a support mechanism for students. Amy Laitinen, Deputy Director of Education Policy at New America, highlights barriers of change moving from what is best for faculty and administrators to what is best for students. What students need and what they want and how do we accommodate them. Software systems and campus based systems that are credit based are not easily accommodating this new world. 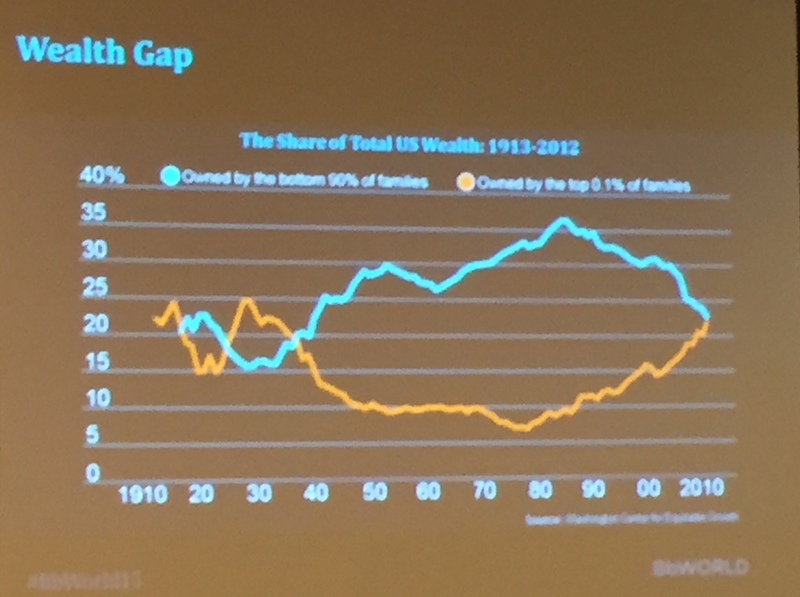 Policy can create it’s own problems, but federal financial aid and there is historical legacy around “seat-time”. Paying faculty by credit hour. There is a beginning shift to what matters > learning matters not seat time. Marrying the needs of the learner to the institution. Not every learner knows what is best for them. Let’s drop the cost of education by 25% by using OERs! Richard Culatta. We have a problem of student user experiences and we often focus on “non-traditional” learners, but these are the bulk of our students. We need to be intentional about the user experience and look how difficult it is to manage your work schedule with your class schedule. Why is it so difficult to even get into the education system? Why is there more power in recommendation decisions in Netflix than in education? When we do get students in, we don’t do a good job while they are with us and supporting them and wrapping services around them. We have GPS systems so we don’t get lost, where is our LPS? Let’s use students to empower the conversation with faculty to advance education. What questions do we ask students, mainly about the class or course experience, but rather ask them larger user experience of their educational experience. How can we help students help other students – Student Success Academy. Let’s give students choices and flexibility > but guidance. We need a system that is designed for me. What students need and what they are expecting and what education provides. Meet students where they are and take them where they need to go. We have to think creatively and differently about the benefits of post-secondary education. Education is at an inflection point. Much of this is driven by a new generation of learners that have very different expectations of what their education experience should be like: from how they navigate their own learning journey, how they manage the business of being a student, to how, when and where they learn. 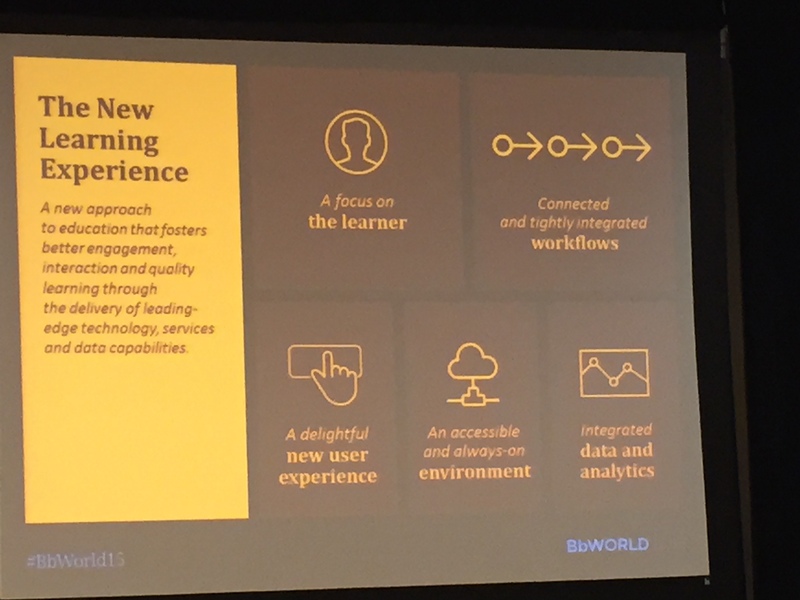 In response, Blackboard is reimagining the experience and business of education, putting the learner at the center, to help drive institutional competitiveness and long term success through both services and technology. This session will focus on how Blackboard has responded to the market dynamics that impact the learning environment, student services, analytics and new technologies. All of this is with an eye toward tomorrow’s learners insisting on choice, customization and flexibility along their student pathway. Speakers: Annie Chechitelli, Vice President of Global Higher Education Strategy, Blackboard Inc.; Craig Chanoff, Vice President and General Manager of Education Services, Blackboard Inc.
By 2020 nearly 2 out of every 3 jobs will require some form of post-secondary education. 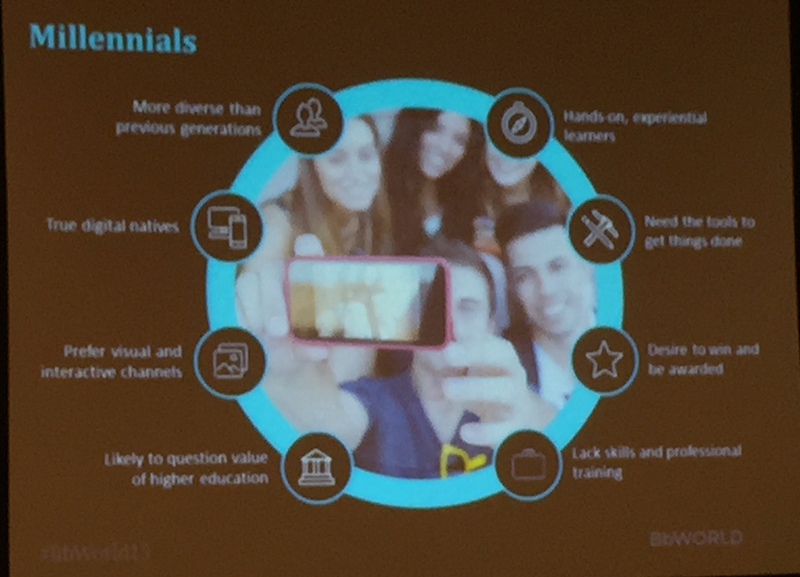 Audience Research – Who are your students? What are their demographics? What are their beliefs and values? What are their career pathways? How do you message students? Student Facing Online Web Presence – How welcoming and informational is your /online site to reach distance education students more effectively? Blackboard Student App – One place to access their teaching and learning environment. Collaborate – Seamless and simple access to live tools without plugins. Ultra – Streamlined interface for quick access to communication streams, content, and simple layered navigation. 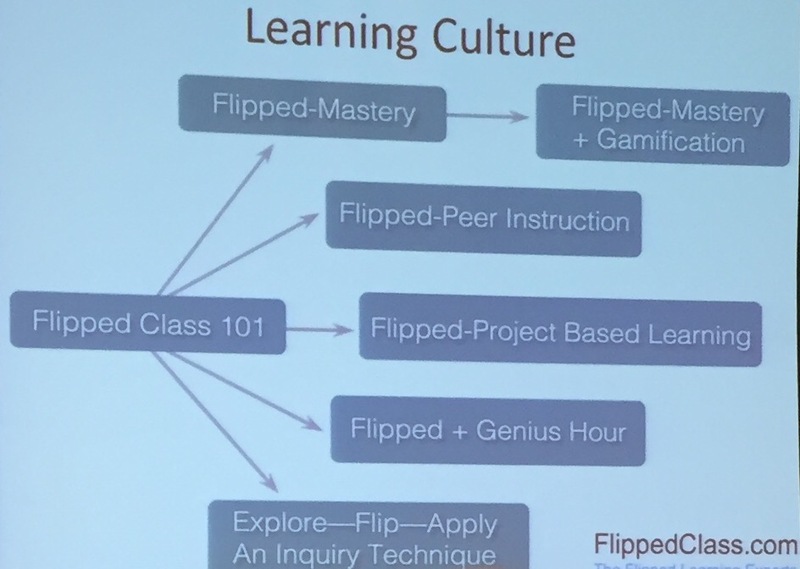 Implementing the Flipped Class model provides teachers with more face-to-face time with students, allows for true differentiation, compels students to take responsibility for their own learning, and enables students to master rigorous course concepts. Join Flipped Classroom pioneers Jon Bergmann and Aaron Sams as they walk through their transformation from lecturers to flipped class practitioners. They will demonstrate how a Flipped Class can transform today’s educational climate and increase student learning outcomes. Jon and Aaron developed Flipped Learning for their high school science students in rural Colorado, and it has grown into a viral, worldwide phenomenon. They co-author many articles, host worldwide conferences, conduct workshops, write blogs, and wrote the bestselling book: Flip Your Classroom: Reach Every Student in Every Class Every Day. 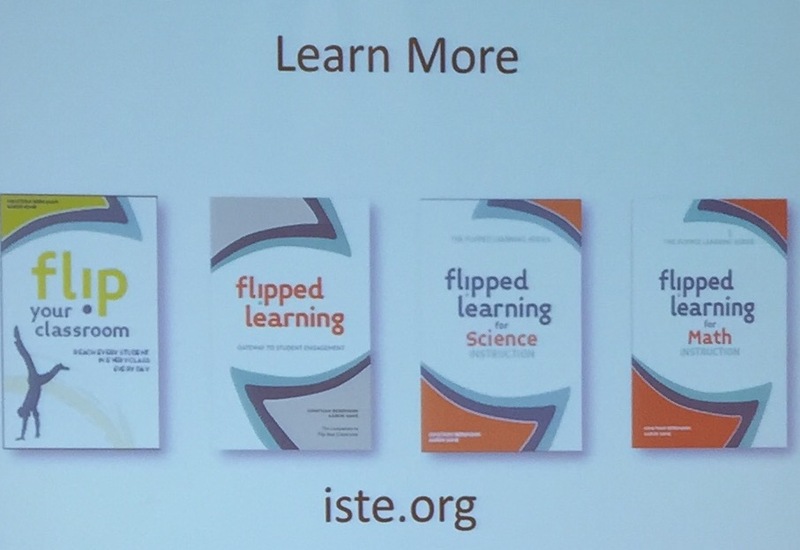 Their second book, Flipped Learning: Gateway to Student Engagement, encourages teachers to develop relationships with their students to bolster student curiosity and to encourage content mastery. Are we sending students home with “the hard stuff”? How do we reclaim class time for deep learning / active learning. Flipped learning is a pedagogical approach in which direct instruction moves from the group learning space to the individual space, and the resulting group space is transformed into a dynamic, interactive learning environment where the educator guides students as they apply concepts and engage creatively in the subject matter. Give the power of learning to students vs passive experience being lectured to. Does there have to be a “front” of the room? Make the space your own, and be creative vs being forced into the institutional rows and teacher desk at the front. Flexible pedagogy provides time-shifted maximizes teacher face to face time. Traditional assessment reinforces content delivery. Flexible assessment brings about formative on the fly vs just bubble tests. Move away from passive and boring to where the teacher is the guide along the side and among the students. We need to learn with our students. The teacher is there to help students figure out how to learn. How do you create a learning culture? Once you experience the ownership of moving the learning to students you will never go back to the old way of lecturing and holding class. Focus on deeper learning, inquiry, genius hours, gamification, mastery, peer instruction, PBL, etc. The flipped classroom is not about the videos. It’s about what you can do with classroom time because of them! 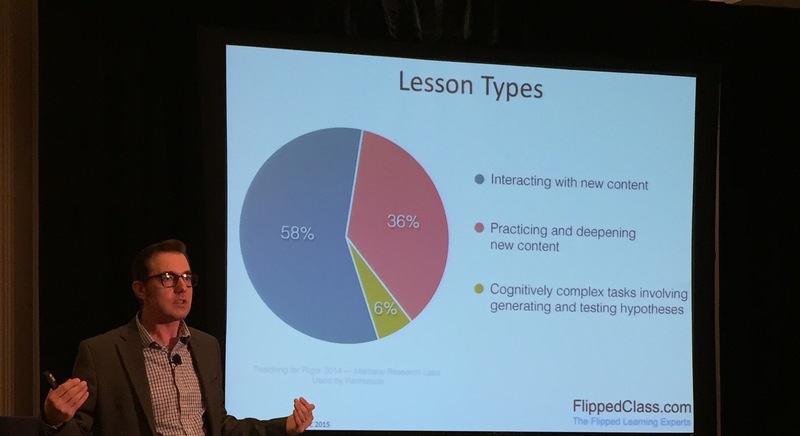 Passive viewership doesn’t help learning, active and interactive video is key. Be intentional about what content you use! Curate and create content that is necessary to reach the objectives and learning outcomes desired. It can be valuable to make your own videos to increase student engagement and personalization. Use video content that is out there and also create your own. Blackboard provides a foundation of where content exists, focuses the students, and allows additional tools for interactivity. We need to give the teacher a why do I use Blackboard and technology? Blackboard provides a foundation for sequence and structure whereby students can be guided through their learning while engaging with others and receiving feedback > not just accessing content. If you can be replaced by a YouTube video as a teacher… you should be! The train has already left the station, the default is now technology-based teaching and learning.